For children use only one half to one percent dilution of essential oils. Take heed of oils to avoid during pregnancy. Be aware of individual sensitivities, eg high blood pressure or allergies. 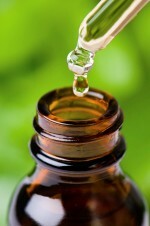 Avoid phototoxic essential oils with a history of skin cancer. Never decanter oil into plastic bottles and avoid rubber droppers as some oils will melt plastic.